Li Cunxin (pronounced “Lee Schwin Sing”) was born into utter poverty in Mao’s communist China. At a very young age, he was chosen to study ballet by Madame Mao’s people. So began Li's journey. The years of harsh training regime taught him discipline, resilience, determination, and perseverance. Li’s astounding drive and relentless hard work made him one of the best dancers in the world. In 1999, Li made a successful career transition from ballet to finance, working as a senior manager at one of the largest stockbroking firms in Australia. Li was named Australian Father of the Year in 2009 and Queensland Australian of the Year in 2013. He received the prestigious Asia Game Changer award at the United Nations. He continues his life in dance as the Artistic Director of Queensland Ballet. Li recounts the rich story of his inspirational life in his 2008 memoir Mao's Last Dancer, which quickly rose to No. 1 on the Australian Nonfiction Bestseller List and went on to become an international bestseller. It garnered the Christopher Award for Literature in America and Book of the Year Award in Australia. The book is in its 56th reprint and the foundation for a blockbuster movie. Li’s inspirational journey demonstrates the importance of passion, dedication, perseverance, and courage to embrace changes — of maximizing opportunities in life and turning dreams into reality. General Manager, Strategy and Policy at the Australian Indigenous Education Foundation (AIEF), Renée Coffey has worked with the organization for eight years. AIEF is a private-sector-led, nonprofit organization focused on empowering Indigenous children to build a brighter future through quality education and career opportunities with some of Australia’s leading schools, universities, and companies. Actively involved in the Australian Reconciliation movement for 20 years, Coffey established Young Australians for Anti-Racism and Reconciliation (YAARR) in 1998 with a fellow secondary school student. She went on to obtain First Class Honours in Australian History at the University of Queensland with her thesis on frontier conflict, and was the non-Indigenous youth speaker at Corroboree 2000 at the Sydney Opera House. In 2000, Coffey started her career with the Queensland Government, working in marketing, communications, sponsorship, strategic partnerships, events, and project management. Coffey next served as the State Manager of Reconciliation South Australia and she completed a Graduate Diploma of Education specializing in Aboriginal education at UniSA in 2008. She won a Commonwealth Bank scholarship and completed a Graduate Certificate in Social Impact from UNSW in 2014. A recipient of a Stanford Australia Association Scholarship, Coffey completed the Executive Program for Nonprofit Leaders at Stanford University in 2017. She also presented a captivating TEDx talk in 2016 on the transformative power of education. An educator by trade and conviction, Phil Cummins (BA, LLB, Ph.D., MACE, MACEL, AIMM, RAA) knows and understands schools and leadership. With more than 20 years’ experience in education as a leader, teacher, author, speaker, and most recently an Adjunct Associate Professor in Education at the University of Tasmania, Cummins consults widely to government, schools, and other organizations about building culture and improving performance. He is managing director of CIRCLE – the Centre for Innovation, Research, Creativity and Leadership in Education, an executive agency in education that connects to 1,700 schools and other organizations primarily in Australia, New Zealand, Asia-Pacific, North America, and Europe through publications, workshops and conferences, and consulting and research services to mainly the K-12 sector. Unfortunately, Brad Adams can no longer join us in Australia. Please join his colleague Phil Cummins for the featured workshop. Brad Adams is the Director – CIRCLE Education, an executive agency in education that connects to 1,700 schools and other organizations primarily in Australia, New Zealand, Asia-Pacific, North America, and Europe through publications, workshops and conferences, and consulting and research services to mainly the K-12 sector. Brad Adams (BA, MA) was educated in Canada and the UK. 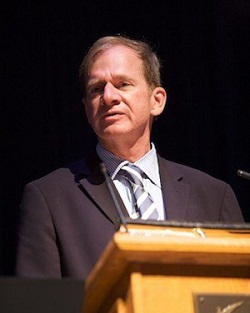 After many years teaching and in leadership positions at a Canadian independent school, he was Executive Director of the IBSC from 2006 to 2014. He joined CIRCLE in 2015, and is involved in the agency’s consulting, publication and research initiatives. He is currently responsibility for developing and delivering CIRCLE’s online postgraduate program in school leadership offered in partnership with the University of Tasmania. In 2006, Richard Humphreys commenced work at The Southport School (Australia) as an IT Support Officer. After three years, he was promoted to IT Specialist and charged with installing, managing, and maintaining the school’s entire IT infrastructure. In 2012, Humphreys accepted the role of IT Manger. Currently, he manages a team of three IT staff who support more than 2,000 daily ICT users across two campuses. Humphreys believes strongly that while technology and pedagogy have changed significantly, security has remained a constant and is more important now than ever before.